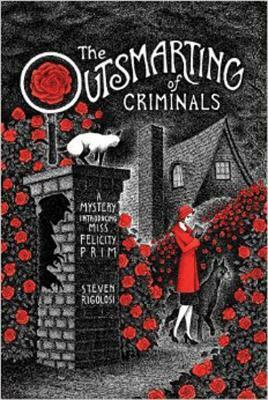 Today I'm featuring an upcoming read, The Outsmarting of Criminals by Steven Rigolosi, borrowed from the library. When, after many years of living quite peacefully in New York City, Miss Felicity Prim felt herself being mugged for the first time, her initial thought was: My handbag is caught on something. As she lay in the hospital, watching Doctor Poe set her fractured arm, she wondered: Why did the mugger choose me? Then she vowed: This will never happen again. But she had to recover before taking action. The doctor had prescribed an intense regimen of relaxation and inactivity (a challenging requirement for a busy New Yorker). She was to remain at home for a month, in her bright, rent-controlled, one-bedroom apartment on East 26th Street, and focus on getting better. Her sister, friends, and coworkers would run her errands, pick up her dry cleaning, and bring her whatever she needed or wanted: meals, groceries, magazines. 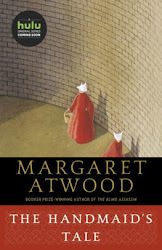 What attracted me to this book is its cover, along with the publisher's blurb: "A cozy introducing Miss Felicity Prim, who believes her ample experience in reading mystery novels has prepared her for a new career in private detection." I am looking forward to reading about the exploits of Miss Prim, who is described on the book's inner flap as "a lifelong resident of Manhattan, book lover, and outsmarter of criminals." First Chapter ~ First Paragraph #130 was originally published by Catherine for bookclublibrarian.com. This post cannot be republished without attribution. Retweeting and sharing on Google+ encouraged.